Mayor of Southie appointed to South Boston Neighborhood Liaison within the Mayor’s Civic Engagement Cabinet. South Boston native Haley Dillon has had quite a year! First she won the coveted title of Mayor of Southie and on Monday it was announced she’s the South Boston Neighborhood Liaison! Haley will serve as the primary contact for constituents and businesses looking to connect with the Mayor’s Office. She will also facilitate the delivery of services – think issues with parking, trash pick up, community meetings – in collaboration with City departments. Way to go Haley! 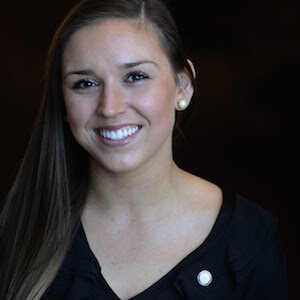 Monday, April 1st, 2019 – Mayor Martin J. Walsh today announced the appointment of Haley Dillon as the South Boston Neighborhood Liaison within the Mayor’s Civic Engagement Cabinet. As the South Boston liaison, Haley will serve as the primary contact for constituents and businesses looking to connect with the Mayor’s Office, and will facilitate the delivery of services in collaboration with City departments. Born and raised in South Boston, Haley attended the Gate of Heaven school, Boston Collegiate Charter School and received her Bachelors of Arts in Communications from the University of Maine at Orono. In her spare time, Haley enjoys volunteering at the Curley Community Center and can be found playing various sports at many of South Boston’s parks. Woman arrested for recent vandalism around the city.